The DC Universe expands with even more Vinimates vinyl figures set in the world of DC Comics! 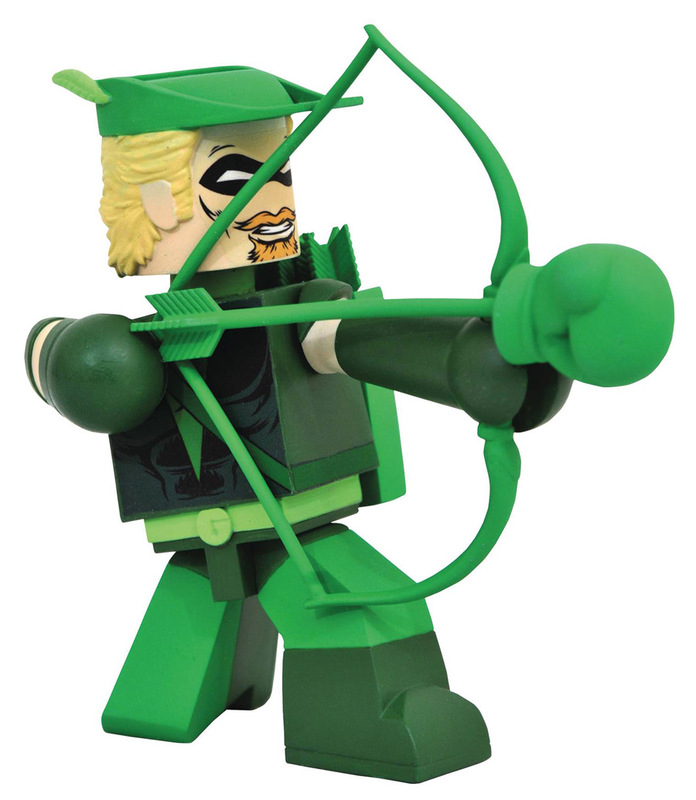 The Flash, Green Arrow and Supergirl are the latest characters to get the 4-inch block-figure treatment, and each appears in their most famous comic-book look. Set in poses straight off the pages of their titles, each comes packaged in a full-color window box and is in scale with other Vinimates vinyl figures.